This page aims to help you remove MacOS:BitCoinMiner-AS. 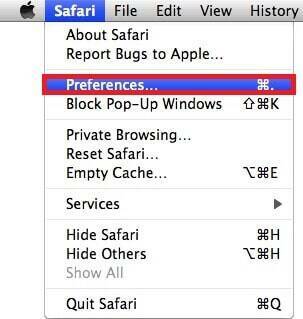 Our removal instructions work for Safari, Chrome, Firefox, as well as every version of MacOS. Browser hijackers are a type of software primarily used for promotional and advertising purposes by their creators. However, due to their irritating and invasive nature, most such hijackers are regarded as PUPs (potentially unwanted programs). In today’s article, we will be focusing on MacOS:BitCoinMiner-AS – a hijacker-like page redirect that has the ability to alter your browser’s homepage or search engine as well as redirect you to different sites that you might note really want to visit. Aside from that, the browser redirect might also be able to show various web-ads on your screen and generate unwanted web offers, prompting you to click on them. But this is not the worst of it – MacOS:BitCoinMiner-AS as the name suggests would mine cryptocurrency without your explicit knowledge nor approval. Unfortunately, it doesn’t really matter what browser you typically use, MacOS:BitCoinMiner-AS is likely capable of affecting any browser program that you can think of – Chrome, Safari, Mozilla, or any other. If you are currently struggling with this page redirect and you want to have it removed from your machine, be sure to read the next paragraphs and then visit our removal guide located at the bottom of this post where you will find the necessary instructions for uninstalling and fully eliminating the pesky MacOS:BitCoinMiner-AS. 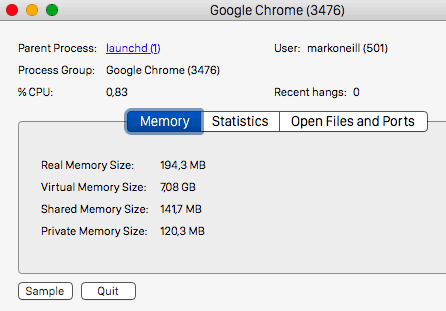 If your browser has gotten invaded by MacOS:BitCoinMiner-AS, then you have likely already witnessed the potential changes that it could enforce upon one’s browsing program. In the beginning of the article, we mentioned what the main purpose of a hijacker is – advertising. The reason why such page redirects might be try to open random sites on your browser that you don’t want to visit or change your homepage and search engine is because that way, the hijacker’s creator is able to gain revenue by promoting certain websites, online services, Internet stores and even software products. After all, the online marketing industry is huge and there’s a lot of money that can be gained from there. The problem here is that such hijackers are hardly ever developed in a way that would actually please the end-user. You see, the hijacker might be promoted as being a helpful browser add-on that would provide you with safer, faster or more optimized online experience but most of the time this is not the case. We already listed some of the potential inconveniences that a hijacker might cause and bear in mind that there could potentially be even more unpleasant consequences coming from such a software. 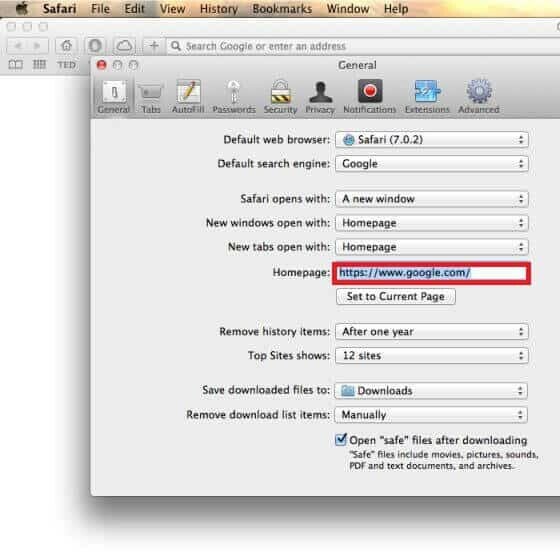 Because of this, we believe that getting rid of the hijacker is typically the best course of action which is why we have prepared a detailed guide with instructions that will help you manually remove this page redirect from your computer so that it no longer disturbs your Internet experience. Typically, there’s no reason to be overly-concerned with the presence of a hijacker on your computer system. As soon as you remove it, any unpleasant effects that it might be having on your PC should go away. However, you must understand that even though MacOS:BitCoinMiner-AS isn’t some kind of dangerous Trojan Horse or Ransomware virus, it is still preferable if you keep away from any content that gets displayed by it on your screen. The hijacker itself shouldn’t be harmful but the potential ads and offers that it generates for your browser might not always be reliable or safe. You can never know what’s actually hidden behind a certain pop-up or banner created by the hijacker and since those could be coming from all kinds of shady and questionable advertising networks, it is simply better to avoid interacting with them for the sake of your computer’s safety. There are several rules that you will need to bear in mind and adhere to if you really wish to protect your PC not only against hijackers like MacOS:BitCoinMiner-AS but also against more problematic software such as malicious Ransomware viruses and Trojan Horse malware. The first and most important thing is to never go to web locations and click on stuff online if you aren’t sure that those are safe. Be sure to avoid lurking too deep into the depths of the online world as there are all sorts of dangers out there. Also, be sure to keep away from the various flashy banners, suspicious web offers and spam messages that you are likely to come across at a certain point. In addition, make sure to always customize the installation of software that you want to install on your computer – in many cases hijackers the likes of MacOS:BitCoinMiner-AS get bundled with other programs and if you do not uncheck them from the setup menu, they would get installed along the main thing without you even knowing about it. Lastly, it is always a good idea to keep a strong antivirus on your machine that has its latest updates installed for maximum protection. As an additional measure, you might also get a specialized anti-malware tool to keep you safe while browsing the Internet. Symptoms Changed search engine, new-tab page or hompage of your browser as well as irritating and frequent page redirects and web ads displayed on your screen. Distribution Method Most hijackers are getting distributed via file-bundles, misleading Internet adverts and spam messages.